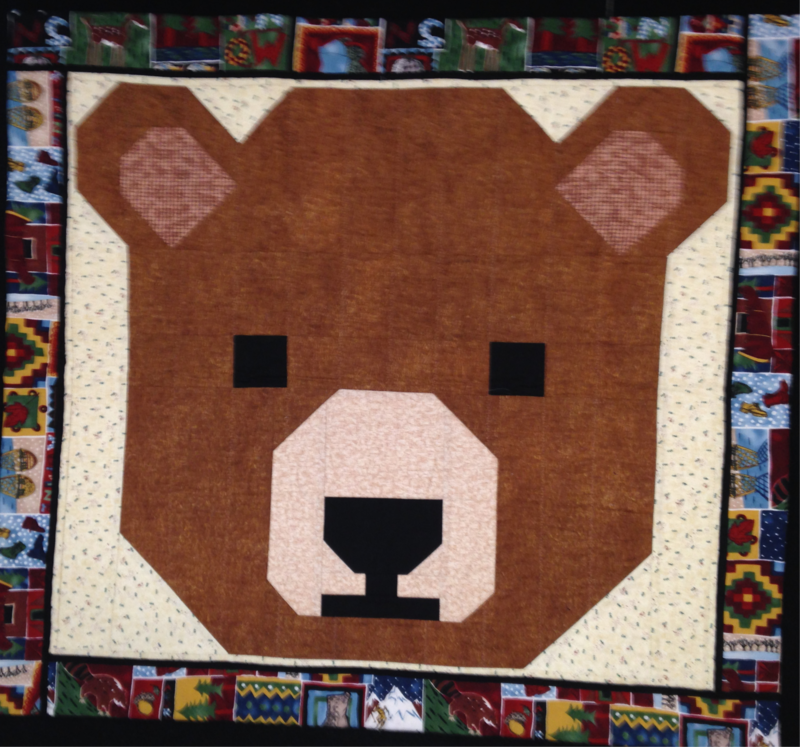 Big Bear is a supersized bear face that is pieced, quilted and bound with a border. Will be practicing accurate sewing, quilting with a walking foot, and quilt finishing skills. The skill focus of this quilt is accurate 1/4 inch seams and piecing of the quilt top.